Click here to see photos and read excerpts from people who know and love the South Fork of the Salmon and want to protect it from new large-scale open-pit mining. Click here to sign a petition we wrote with American Rivers targeting Forest Service processes that could lead to large-scale open-pit mining in the South Fork's headwaters. Click here to go to IRU's web pages detailing the threat mining poses to the South Fork of the Salmon River. We can't protect the South Fork of the Salmon River without you. Join IRU today! 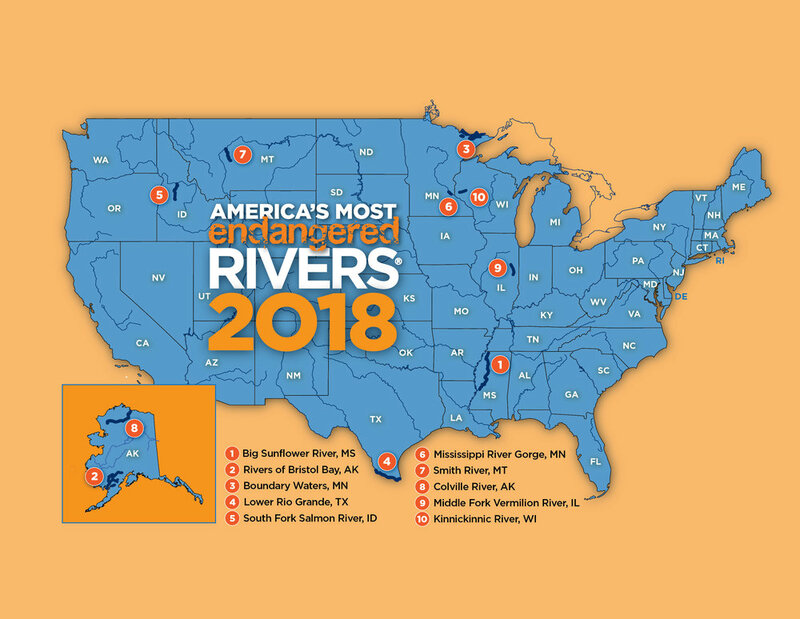 Washington, D.C.—American Rivers today named the South Fork of the Salmon River among America’s Most Endangered Rivers® of 2018, citing the threat expanded open-pit gold mining in the area would pose to water quality and river health. American Rivers and Idaho Rivers United call on the U.S. Forest Service to protect the South Fork of the Salmon for future generations by prohibiting the reopening and expansion of the Stibnite Gold Mine at the river’s headwaters. Click here to take action to help protect the South Fork of the Salmon. Click here to download the South Fork Salmon Most Endangered River report. Click here to download the above press release as a pdf.